Levianthian Rises, Challenges Neptune’s 911 Plea – Neptune 911! A few nagging words continue my reading material intrusion; they include carbonic acid and ocean acidification. The volume of new ocean-related information that fills Neptune 911’s email account overwhelms me. It also validates this blog’s name. 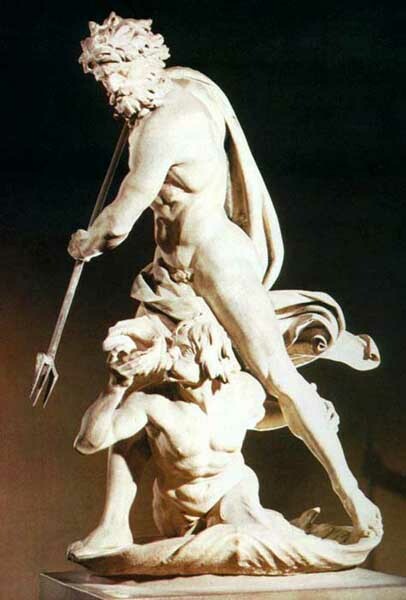 Neptune, God of the Sea, may have joined the Neptune Society http://www.neptunesociety.com/as his domain battles our endless plunder of the what keeps us and our planet alive—our oceans. Our seas seem endless and invulnerable to intrusion. And the ocean wins when we go against its tide. But like a strong woman with endless energy and strength, abuse takes its toll and the once-strong woman becomes a victim that can no longer fight and survive on her own. Regardless, the ocean has a Texas-and-growing-larger-sized trash island, plastics are a real debacle for the seas and marine life, coral reefs die daily, fisheries face harvest-depletion, and marine life die-offs continue. Yet there’s an element that denies that we have an ocean that screams for help. Leviathan rises and challenges Neptune’s will. When the Methane Blows, What’s Next? On the news today they had an aerial shot of the beaches in So Cal. Where any of the storm drains emptied out into the ocean from all the rain you could see an actual boundary of brown against the blue green water. The waves within this area were also brown. They said it was dirt and trash entering the ocean. It was a sad and frightening sight to see.